Imagine if your indie film had a completely interactive book to accompany it? The text would complement the film, the film would benefit from enhanced background and storylines provided by the text. We’ve done just that with our first cBook project. The Laid Back Films Company completed Monsoon Tide (Jan 2015), then created a cBook to go with it! The film’s story is that of a young aid worker who returns to her motherland in the wake of the 2004 tsunami. There she sets into motion a dramatic chain of events and ultimately uncovers why she had to flee India all those years ago. Starring Ben Richards, Rebecca Grant, Kasia Mount, Rez Kempton, Kevin Kemp and Clark Crewe, with a guest appearance by Biyon. 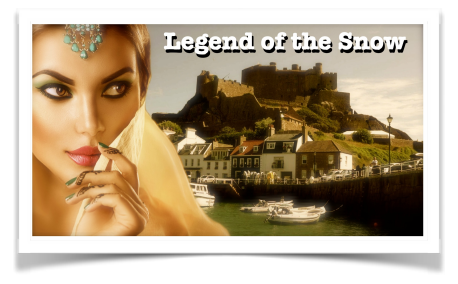 The Laid Back Films Company is now in pre-production with Legend of the Snow – a story about a troubled man who can’t let go of the past, a Bollywood actress who wants to escape the present, and a doomed island that needs their help to find a future. Look forward to the cBook soon, and CONTACT US for further information or to discuss your cBook project!